Mike Dillon serves as the Healthcare Reform Expert and Thought Leader of the Employee Benefits Broker Team for Dillon Health. Mike specializes in developing employee benefit programs for Associations & Coalitions across the country, providing guidance to employers on the complexities of the Affordable Care Act (ACA) and finding solutions to demanding challenges of the industry. In addition, Dillon has created innovative programs and strategies that will guarantee all of our clients from small group to large Self-Funded employers receive the best possible rates and plans for their employees and their families. Mike started his career with the largest employee benefits brokerage in the world, Marsh & McLennan, and was their top producer of new business in the State of Nevada. Dillon grew a 450+ Group Employer Association Health Insurance Program to over 20,000 lives. That experience has allowed Dillon Health to be the “Endorsed Agency” for employee benefits plans for 7 large associations in Nevada, California and the Western United States. He uses the strength of these associations, representing over 2600 companies, to negotiate the strongest coverages at the lowest cost for Dillon Health clients. Dillon has provided testimony on the impact of the ACA to the House of Representatives Select Committee on Small Business. He has been quoted in the Wall Street Journal on the impact of “community adjusted rating” on Small Group Employer Plans and is the ACA Expert for the CBS affiliate, KTVN News, for the “Money Watch” segment. 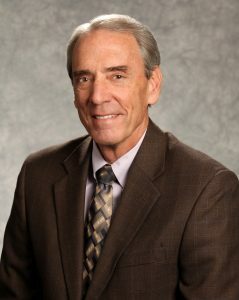 Mike is the current President of the Prospectors’ Club, served as President of the University of Nevada Alumni Association, and is an active member of Vistage. Mike, a graduate of the University of Nevada, enjoys following the Wolf Pack, being active with his family, playing chess, attending Oakland Raiders and Las Vegas Golden Knights games. Julie Christiansen-Comeaux oversees company operations utilizing her vast experience in employee benefits, human resources, all phases of business management, and employee relations. She has 13 years’ experience as the benefits broker/manager for Christiansen Insurance Network, Inc. and has worked with Mike Dillon since 2005. 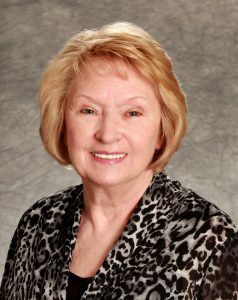 Julie’s mother Maggie Christiansen, is an Insurance legacy in Northern Nevada, and she is proud to continue her namesake serving Nevada health and life insurance needs since 1989. Julie specializes in Employee Benefits and leads Dillon Health with the premier Life and Individual Disability Insurance product in the country “Protecting Income” for Physicians, Attorneys, C-Suite Executives, and Business Owners. Her personal approach to clients and her understanding of the challenges benefit administrators face make her a critical advisor to all employers. She developed the Dillon Health proprietary “Employer Health & Welfare DOL – ACA Compliance Manual.” Plan Administrators are guaranteed to be compliant and prepared for a DOL Audit with Dillon Health by your side every step of the way. Julie is a native of New Orleans where she attended Delgado College. After Katrina she moved her family to be near her mother and siblings in Northern Nevada. Julie and her family never tire of the region. Being lifelong residents of New Orleans, they bring the fabulous food and flavor that NOLA offers to their Northern Nevada home. With three graduates from UNR, along with two beautiful “Reno born” granddaughters, she and her husband Rick spend time entertaining, biking, hiking, and embracing everything that Northern Nevada offers. Peter has been working as an employee benefits consultant since 1994 starting with Acordia a national agency. In 1996 he transitioned over to A and H Insurance becoming independent in 2000. His focus has been on developing relationships with local small businesses in Northern Nevada. He has provided guidance to businesses leaders through the many challenges facing our community due to legislative and economic upheavals affecting their benefits package. In addition he is licensed with property & casualty risks and is able to understand the wide range of complex coverage issues that businesses face. He brings this firsthand knowledge and experience to the Dillon team. He’s lived in Reno all his life minus a brief stint in the US Virgin Islands doing SCUBA tours. He is married to his wife Angela and has two children Raquel and Calvin. The family regularly enjoys the beautiful outdoors our area has to provide all season long. It is not unusual to find Peter sitting somewhere by the Truckee or on a Tahoe beach enjoying a novel or playing Frisbee with the family. Health provides certainty for employers in DOL, IRS, and ACA compliance with our audit guarantee. Lucia, born in Mexico is a U.S. Citizen, and was raised in Sparks, Nevada. She has 6 brothers and sisters who live in Oregon and Nevada. 4 children, Evelyn, Ailton, Diego, and Gisele enjoy all of the wonderful outdoor activities than Northern Nevada and Lake Tahoe has to offer. The family competes year-round as members of indoor and outdoor soccer teams. Lucia, an avid martial artist, is well known for her lethal jujutsu arm-bar. Lucia leads the Dillon Health Reno-Tahoe Odyssey Team. 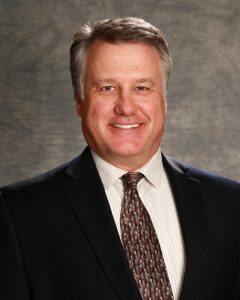 Ellis comes to Dillon Health from Wells Fargo where he was a licensed loan officer serving the Northern Nevada and Truckee /Tahoe areas. He has over 17 years in the mortgage industry as a licensed loan officer with various lending institutions here in the area. 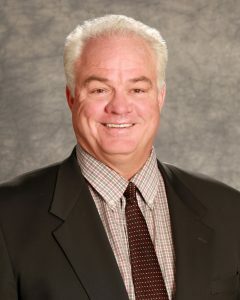 Ellis began his career in 1989 as a sales agent as a licensed real estate agent with the Myers Realty 500 group. He then went on into the commercial real-estate sales and leasing and sales associate with Grubb & Ellis, a premier commercial real-estate company representing both tenants and landlords with their real-estate needs. His strong background in client services provide him a valuable understanding of the importance of team work and making certain that deadlines are met in a timely fashion. He recognizes the need to balance cost savings for employers while providing quality affordable health insurance coverage for their employees in guiding his clients in choosing the right health plan to create a tailored fit that will maximize the cost vs benefits for each of his valued employers. Ellis prides himself on delivering excellent client service and communication to grow lifelong relationships within the business industry. Ellis attended the University of Nevada Reno and is married to his college sweetheart Christina of 29 years and has two amazing daughters Kathleen and Chloe. As a Nevada native, Ellis enjoys all our area has to offer and when he is not in the office or out in the field he can be found hitting the ski slopes or ripping the mountain bike trails around our area. Mike Ginder leads the Dillon Health Large Group service team with his expertise in self-funding, knowledge of provider contracts, and capabilities in implementing results-driven cost containment/savings programs for clients. Mike Ginder is a healthcare executive with 37 years of senior management responsibilities with medical groups, hospital management companies, diversified health care services organizations, and multi-employer health care purchasing groups. He has a keen understanding of the fundamentals of employee population health management and the principles of employer value based health care benefits purchasing. Mike, and his wife Carolyn, enjoy the wonderful hiking and fishing family outings our area offers. Sylvia is a licensed health & life insurance agent with 15 years of experience as an independent agent/broker in Northern Nevada. She began her career as part of Christiansen Insurance Network and was mentored and trained by Maggie Christiansen. It was there that Sylvia developed the skills, ethics, and knowledge of the industry. She specializes in the Senior Health, Individual & Family, and Small Group health insurance market. Sylvia is a native of Oklahoma and grew up in southeastern Oregon. She moved to Northern Nevada to marry her true love and soul-mate, Bob who is a fifth generation Nevadan. The three children are in Oregon, Washington and New Mexico, so when not at their desk you will see Bob and Sylvia fly off in their Cessna-172 to visit and play with family and explore. 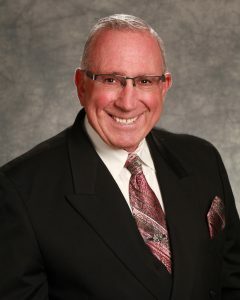 Mario Licciardi has been a licensed Life and Health agent in the State of Nevada since 1984. He began his career with Massachusetts Mutual, then moved on to New York life where he spent 10 years developing a love for estate and financial planning. His acceptance of the challenges of managing client’s life insurance needs, individually or in a group setting, was impactful in the development of his career in the Life insurance industry. Mario has also worked within banking and credit union institutions as a registered financial representative. For 11 years Mario established a voluntary benefits business utilizing the Aflac Company’s products and services. It is during this tenure that he grew a strong understanding of worksite marketing and the benefits it can afford employees and their families. Mario represented AAA insurance company as Northern Nevada’s Life and Annuity specialist. Mario has been married for 38 years to his college sweetheart, Gwen, and has lived in Sparks, NV for 34 years. He has 4 children, Lauren, Vincent, Marco and Luca. His family loves the outdoors and has spent time backpacking, fishing, camping, and hiking in Nevada and California. All three boys competed at the highest level of soccer here locally as well as in California. Vincent and Luca went on to play D1 soccer at Grand Canyon University in Phoenix Arizona. Lauren has her master degree in special education and currently teaches children with autism. Mario is a graduate of Cal State Long Beach, CA. and is a member of the Italian Benevolent Society and an Ambassador of the Reno-Sparks Chamber of Commerce. He is an avid endurance cyclists and enjoys the challenge of long distance riding. Tara Lynch not only has health benefit experience with Medicare through work in hospice, but also brings with her 8 years of experience as an operations manager for an international consulting firm and 6 years of small business ownership to the Dillon Health team. Her experience gives her an understanding of the challenges businesses face in balancing expenses and employee satisfaction. Tara is passionate about helping businesses find the best insurance products to maximize benefits, while lowering costs. As a University of Nevada graduate and former Division I Track & Field athlete and team captain, Tara helped lead her team to three conference championships and applies that same work ethic and desire to achieve excellent results for each of her clients. Tara is a mother of three, William, Ellie and Olivia and can frequently be found enjoying pre-planned meals with her kids around the center console of her car at their after school sports. In her spare-time, she loves spending time outdoors, being with friends and family, cooking, yoga, hiking and travel. 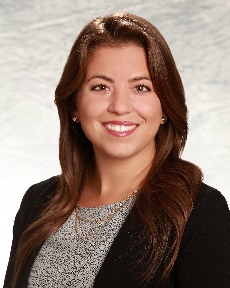 Emily Turnbull joined Dillon Health with over twelve years of client service and business development experience building long-term relationships and demonstrating integrity while executing on decisions that drive positive business outcomes. Emily’s results-driven attitude combined with her ability to connect with people has led her to a successful career in employee benefits. 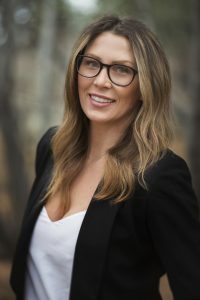 Emily was born and raised in a small town in southeast Alaska and spent most of her adult life in the Pacific Northwest completing her Undergraduate Degree at the University of Idaho and her Master’s Degree in Business Administration in Seattle Washington. She relocated to Las Vegas Nevada with her husband Alex in 2015 where she has worked hard to establish her position within the health insurance industry. In her spare time Emily can be found sailing on Lake Mead or hiking to the top of Mount Charleston searching for snow. Melissa oversees the complex regulatory and employer compliance issues facing our clients with the Affordable Care Act (ACA). 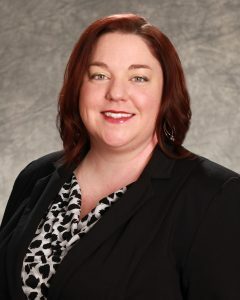 Melissa’s involvement as the Health Plan Administrator for the ABC Nevada Benefit Trust Fund gave her a wealth of knowledge and experience with the structure and operation of a Benefit Trust plan. More importantly, she showed leadership in guiding employers and providing them the template to stay current with running an ERISA plan and staying current with government regulators. Being a Physician Recruiter for Renown Health for over 5 years, Melissa helped relocate and attract over 150 Physicians, Physician Assistants and Advanced Nurse Practitioners to the Reno/Sparks community. She enjoyed this work primarily because she loves to meet new people from all backgrounds and assist them in any way possible for the betterment of the individual and the community. Melissa’s ability to exceed expectations of supporting the administrations functions of the day-to-day activities of an employee benefits program, is why she leads Dillon Health’s efforts in Client Services. Melissa is a native Nevadan who grew up mostly in the rural areas of the state (Fallon, Tonopah, Winnemucca, Spring Creek/Elko) and has loved living in the Reno/Sparks area since 2004. She received her Associates of Science degree at Great Basin Community College in Elko in 2004. She then moved to Reno to join the Wolf Pack at UNR and graduated in 2007 with a Bachelor of Science in Business Administration with a major in Management, Minor in Math and advanced studies in Electrical Engineering. Melissa enjoys spending time with friends and family including her four legged friends.